The Turkish banker, Mehmet Atilla, who is scheduled for a November trial in the Reza Zarrab Iran oil-for-gold sanctions violation case, has filed a Motion In Limine*, seeking to have the Court bar specific trial testimony that he asserts is overly prejudicial, inflammatory or irrelevant. He clearly fears that expert testimony will bury him, along with Zarrab, at trial, and with good cause, for the documentary evidence, and anticipated expert testimony, is damning. 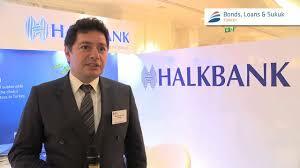 The assistance that Atilla, through Halkbank, allegedly provided to Zarrab, to evade international sanctions, appears to be overwhelming. (1) Sanctions that exist against Iran, and against terrorism. (2) The Economic ties between Turkey and Iran. (4) International Banking and the settlement of foreign currency transactions. Atilla also is objecting to the admission of a Zarrab letter referencing "Economic Jihad,' which his counsel alleges should be precluded for use at trial, as overly prejudicial and inflammatory. Curiously, his attorneys assert that he may be the only defendant to appear at trial, which again raises the question of whether Zarrab is entering a plea prior to trial. It is doubtful that Atilla will be successful in his quest to sanitize trial testimony, as the experts will most likely be permitted to testify. * A motion, made in advance of trial, to obtain a ruling barring certain testimony or evidence, for being so inflammatory, and prejudicial, as to adversely influence the trier of fact, meaning the jury. Readers who yesterday questioned why I failed to specifically identify what US government agency is investigating certain members of the leadership of Dominica, please remember that I have no wish to be accused of neither Obstruction of Justice nor a violation of the Intelligence Identifies Information Act'; rest assured, though, that the story is true and correct. The source has a long record of accuracy. I do want to add some additional information, inasmuch as there are perhaps a few who require a reality check, regarding how much unwanted attention Dominica has drawn from afar, due in large part to its illicit diplomatic passport sales scheme.There is a second country, in addition to the United States, that has recently sent undercover investigators into Dominica to make inquiries. We know that because the Commonwealth has been repeatedly visited by a few foreign nationals who have been spotted by certain sharp-eyed Dominicans, who kindly passed their names on to me. One of those individuals is known to me to be a career investigator, acting in an undercover capacity, on behalf of a specific nation; again, I have no desire to interfere with their tasks, so they shall remain anonymous. Whether there will be criminal charges filed in that jurisdiction is not known at this time, but it does indicate that there are Persons of Interest under investigation, for violation of criminal statutes. The million dollar New York and Virginia purchases, allegedly made by indicted TrumpGate defendant, Paul Manaford, were made with wire transfers that apparently originated in Cyprus. What bank compliance officers allowed these funds to come into the United States, into obvious shell companies, from such a well-known Russian tax haven ? And Delaware shell companies, like were used in the Riggs Bank case. Just how much compliance malpractice can you take for one day ? There were so many Cyprus & Delaware companies, it looked like a classroom fact pattern. Let us hope that somebody at FinCEN identifies those banks, and names & shames them sufficiently to scare others into red-lining wire transfers when they should. 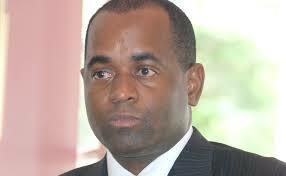 According to a reliable source, an overseas office of an American Federal law enforcement agency has been ordered to turn over all information in its possession on Dominica Prime Minister Roosevelt Skerrit, and attorney Anthony "Tony" Astaphan, who acts as Skerrit's adviser for the country's diplomatic passport scheme. Readers who might think that the attorney-client privilege applies to any communications between the parties are advised to review Federal case law on the Crime or Fraud Exception to the privilege. The requesting agency has not been identified, but is believed to be the Department of Justice. Dominica has been the subject of international media attention this year, primarily due to controversy over the alleged sale of a large number of Dominica diplomatic passports to a number of Iranians, Chinese, Russians, and other nationals from high-risk countries, some of whom have been arrested, on a variety of charges, in several countries. There are concerns that Dominican passports have been sold to North Korean government agents, after a CNN investigative story disclosed that a Chinese recipient of a Dominican diplomatic passport was acting for a sanctioned state-owned North Korean Bank. Given the broad reach of US Conspiracy laws, and the extraterritorial application of the money laundering statutes, Dominica government staff members who are engaged in the production of diplomatic passports for foreign nationals might want to consider consulting with a competent criminal defense attorney. IS IT NOW THE CARIBBEAN PAPERS ? Reports that the prominent Bermuda-based law firm, Appleby, was hacked last year, and that the ICIJ, which broke the Panama Papers, will publish the stolen data, have led to speculation that a new scandal this time involving Appleby clients, will further expose rampant client tax evasion, money laundering, and assorted financial crimes, in the Caribbean tax havens. 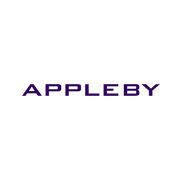 Appleby, which acquired a global offshore presence, by merger, and now has offices in the Cayman Islands, Hong Kong, Isle of Man, the Channel Islands, Mauritius, the BVI, the Seychelles, and China, could take a major hit to its sterling reputation, should the leaked documents expose high net-worth individuals who are tax cheats, corrupt government officials, and other suspected criminals. While the transactions it assisted in are totally legal, the public perception of misconduct appears to have fatally damaged Mossack's reputation. What will be the outcome for Appleby ? The exposure of Mossack & Fonseca's illicit acts, in the Panama Papers, caused a widespread exodus of Mossack attorneys and paralegals, and we shall be monitoring unfolding events, to ascertain whether Appleby will suffer the same human resource flight as Mossack. Regarding possible guilt, we must now reserve judgment, waiting for the information's release, before commenting upon whether any law firm misconduct has occurred; stay tuned. The Prime Minister of St Kitts & Nevis, Timothy Sylvester Harris, has denied holding a diplomatic passport issued by the Commonwealth of Dominica, though a copy has appeared on several Caribbean media websites, but the authenticity of the passport has never been disputed by any senior official in Dominica. In fact, the Government of Dominica has been strangely silent regarding the subject, when the normal response would be to either confirm or deny that the document is genuine, and issued by the Ministry of Foreign Affairs. It would take Dominica five minutes to examine & reject the document, and the failure to do so speaks volumes regarding the truth. Check the passport number, please, and respond. At this point, it might be helpful to remember that the Foreign Minister of Dominica has repeatedly refused to publish a comprehensive list of all the 500+ diplomatic passport holders, claiming that to do so would hinder the abilities of these "diplomats" to perform their functions quietly. The problem is that all the foreign diplomatic passport holders are neither properly qualified, nor certified by any accepting jurisdiction where they ate allegedly posted. In short, these foreign buyers of diplomatic passports are legally unqualified to be regarded as diplomats, as they fail to meet the the terms of the Vienna Convention. We do not know more than a small amount of the names of these bogus Dominican "diplomats, " as well as CBI documents, but those we do know are Iranians, Chinese, Nigerians, Chinese working for North Korea, and others from high-risk countries. 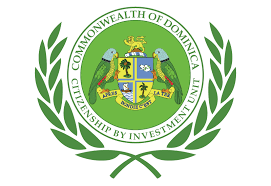 Therefore, until we have a complete and accurate list of those who bought their "diplomatic" and CBI status, compliance officers at North American & EU banks must place all Dominica passports as suspect, and high-risk. 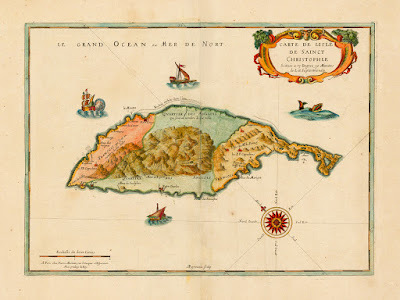 That is patently unfair to Dominicans not engaged in transnational white-collar crime, but a sad reality, and the Dominica "infection," meaning close compliance scrutiny, is liable to spread to the other East Caribbean countries that offer CBI products, and diplomatic passports, under the table, to dodgy and unqualified applicants, without transparency. Questions have been raised as to whether the recently cashiered ex-Minister of Tourism of Antigua & Barbuda, Asot Michael, could have avoided arrest and interrogation, when he arrived in the United Kingdom. Some have said that he had diplomatic immunity, but this statement is incorrect and misleading, and has no basis in international law. We now know that he was questioned, on the orders of the National Crime Authority, due to an ongoing criminal investigation into allegations that bribes were paid to a government official in the East Caribbean, by a UK national, to secure business. Michael's PR statement, that his arrest was either routine, or an error, was intentional disinformation given to the media. Michael also allegedly made graphic threats, to senior Antigua officials, after he was relieved by them of his ministerial portfolio, after news of his arrest was made public, and those threats may be actionable as assault under the laws of Antigua & Barbuda; we will be covering that in a subsequent article. His reinstatement as a minister, due to these actions, is doubtful. (1) Asot Michael, when Minister of Tourism, was NOT covered by diplomatic immunity, nor has he ever been, while holding that governmental position. The Vienna Convention on Diplomatic Relations of 1961 specifically limits diplomatic immunity to serving, active duty diplomats, who are then formally certified by their foreign office as such, to a specific country or international body, who are duly accepted by the receiving country, and who perform a mission in that country. There is no blanket diplomatic immunity for ministers of any government in the Vienna protocols, which all United Nations members are obligated to observe, as UN treaty signatories. (2) The other type of immunity, known as Head of State Immunity, is expressly limited to those senior individuals who represent the State in international relations. 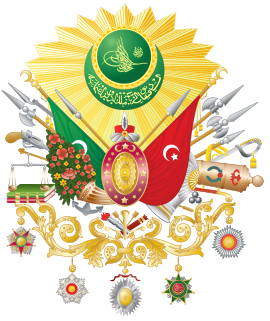 This means the Head of State, Head of Government, and the Foreign Minister. Any other official does not qualify; Readers who wish review the relevant material should consult the United Nations document Immunity of State Officials from Foreign Criminal Jurisdiction. here. Former president, Ricardo Martinelli, facing more than a dozen criminal cases in his native Panama, has made an eleventh-hour attempt to avoid extradition, by offering to pay large but unspecified sums of money to his victims. The former president's attorneys announced that Martinelli will meet with legal representatives of the victims of his illegal video and audio surveillance in Miami, to negotiate a settlement of the damages they suffered, when the country's national security apparatus illegally captured their private lives. It appears that he rightly fears imminent extradition. Martinelli has also offered to make a public apology, but there is no mention of the former president serving any prison time for his crimes. He is seeking, literally, to evade justice by offering cash payments, but Panamanian reformers among his victims, who want Martinelli to face justice, and serve a lengthy incarceration, will most likely refuse, knowing he is close to extradition from the United States. Besides, the money he would use to pay them off is the proceeds of crime, and funds stolen from the people of Panama. In truth and in fact, accepting dirty money could constitute money laundering. WHY WAS ANTIGUA'S TOURISM MINISTER ARRESTED IN THE UNITED KINGDOM ? 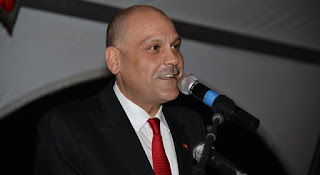 Asot Michael, who was removed as Antigua's Minister of Tourism & Investment, after British authorities reportedly arrested him upon arrival in the UK, and subsequently released, has failed to disclose precisely why the Metropolitan Police needed to interview him. His slick public relations-authored press release hinted at his innocence, and even made it seem to be a mistake. Rest assured, it was anything but routine. British law enforcement does not arrest foreign governmental cabinet officials without just cause. Was it because Minister Michael oversees Antigua's controversial (and often troubled) Citizenship by Investment (economic passport) Program, and there is an ongoing criminal investigation into one or more of the CBI holders ? Or was it because of an investigation into the illegal payment of funds to Antiguan officials, to approve certain investment projects by foreign nationals ? We cannot say at this time. Most people might immediately question whether UK Customs seized any personal property in the minister's baggage, such as bearer instruments of value, or bulk cash. We cannot form an opinion on this subject, because there has been no information made public, regarding his possessions at arrival. The most troubling aspect of the minister's very public statement inferred that he had been advised, by some anonymous source, that the police were required to arrest him to interview him. Most international travelers know that, in the event of a query of any sort, airport-based law enforcement staff detain the party, they do not arrest him. The arrest of the minister was no mere friendly talk, it was a predicate to a custodial interrogation, and we surely want to know why. Counsel for the former President of Panama, Ricardo Martinelli Berrocal, have filed what is captioned Motion to Stay of Surrender pending Appeal, in the Habeus Corpus case filed on September 28, after a US Magistrate Judge ordered Martinelli's extradition, to face criminal charges in Panama. Unfortunatelty, we are unable to review the details of that motion, because the Court has restricted public access to it, for some unknown reason. 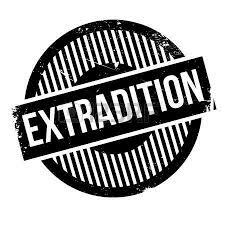 We will not have long to wait though, as the response of the US Government defendants, the Attorney General, the Secretary of State, and the Acting Warden of FDC Miami, is due shortly, and Habeus proceedings call for an expedited ruling; Stay tuned. (1) If the diplomatic passport published on several Caribbean media is bogus, who created it and how did they accomplish this act? It appears, on its face, to comport with the security features of Dominican identity documents. Was the Opposition party in St Kitts to blame, as has been alleged ? (2) Was the document actually made in Dominica, by unnamed government staff, and did they use official facilities and technology to do it ? (3) Why hasn't the Foreign Minister of Dominica confirmed that it is a fake ? Is that because it is genuine ? Check the bloody serial number please, minister, and go public with your findings. (4) Since Dominica will not list all the 500+ holders of its diplomatic passports, how are we to judge whether it is authentic, or a forgery ? (5) When will Dominica cancel all the diplomatic passports issued to non-Dominicans, who perform no legitimate diplomatic functions, and are therefore in violation of the Vienna Convention on Diplomatic Relations ? Dominica's illicit issuance of diplomatic passports, to foreign nationals, presents a clear and present danger to international banks, to countries that could be the victims of terrorist financing, or even terrorist acts, and specifically to the United States & Canada, who are rapidly becoming tired of this game being played in Dominica. The final question: does Dominica now richly deserve a FinCEN Advisory on its passports, like currently existd against St Kitts ? I believe the answer should be in the affirmative. Our recent article, about the New Brunswick, Canada-based Swallow Immigration Consultancy Ltd., which is selling CBI passports in Dominica, St Kitts & Grenada, according to its website, and its staff, included a telephone call to the firm's manager, Nusheen Pourjahani. She denied accepting any Iranians, unless they lived outside Iran, and maintained their wealth also overseas, claiming that her clients did not violate sanctions, and their money was clean. Our follow-up call today yielded confirmation that her story was pure fiction. Pourjahani, according to her office, is traveling to Dubai, to meet clients, and after that, will be in her office in Tehran. That is where she really meets her Iranian clients, so she can obtain Caribbean CBI passports for them, and launder their money through her own accounts, prior to making payment for their passports. 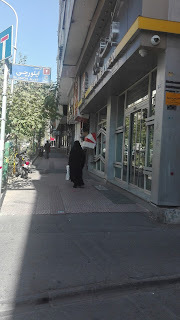 You are looking at photographs taken outside Swallow's Tehran office. 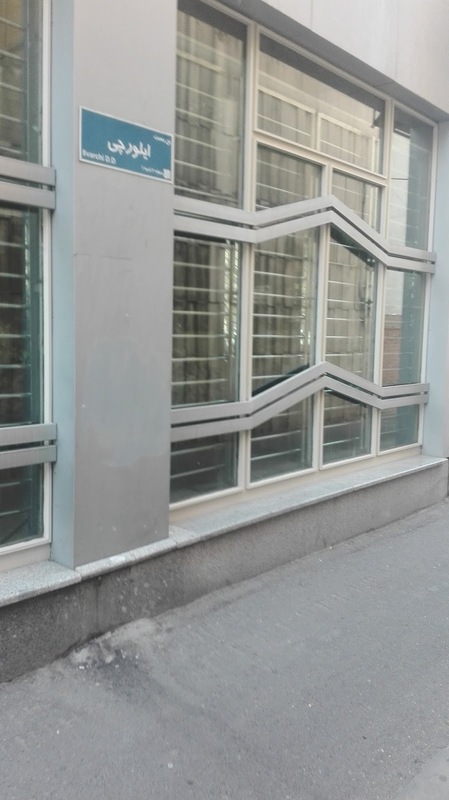 Note that there are no signs or indications that it is a business, because it is not open to the public; It is a covert location, to serve Iranian clients, in violation of American, Canadian and United Nations international sanctions. Does this look like a legitimate office ? Nidal Abdul Waked Hatum, one of the leaders of Panama's powerful Waked Money Laundering Organization, has entered a plea of guilty, to a single court of conspiracy to commit money laundering, in US District Court in Miami. 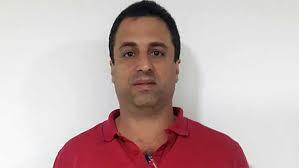 Waked, a Panamanian national, was extradited from Colombia, and originally charged with four counts. 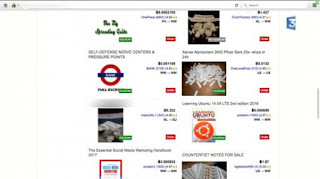 The defendant has stipulated, in writing, to the facts surrounding his money laundering operation and the tradecraft he employed; the Wakeds moved and cleaned narcotics proceeds for Colombian & Mexican drug cartels, for more than a decade. 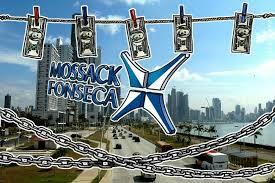 They used a network of legitimate Panamanian businesses they owned or controlled, to launder the narco-cash. His Guidelines is stated to be 41-55 months, but a provision states that it will ultimately be 30 months, provided that he makes full disclosure, and there is no provision in his Plea Agreement, requiring him to testify against others. It is believed that his information will greatly assist US law enforcement in the investigation of the narcotics trafficking syndicates his organization served, hence the short sentence, in such a massive case. 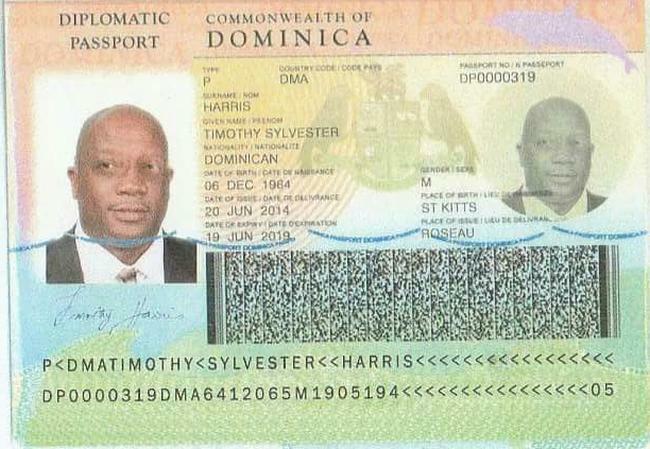 WHY DOES THE LEADER OF ST KITTS HOLD A DIPLOMATIC PASSPORT FROM DOMINICA ? We recently discussed the uproar caused by the disclosure that the former Prime Minister of St Kitts, Denzil Douglas, not only obtained a diplomatic passport from Dominica, immediately after St Kitts was the subject of a scathing Advisory, issued in 2014 by the Financial Crimes Enforcement Network (FinCEN), but that Mr. Douglas was listed as a Dominican national. Obviously, powerful Kittitians, when faced with the prospect of detailed inquiry at Customs & Immigration, when they arrived in the United States, used their connections to obtain what are, frankly, illegal diplomatic passports that violate the Vienna Convention on Diplomatic Relations. 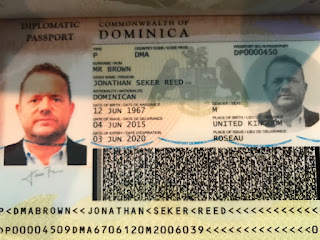 It has now gotten worse; a well-respected Caribbean media outlet has exposed yet another St Kitts politician holding a Dominica Diplomatic passport, also obtained right after the FinCEN Advisory on St Kitts. This one was issued to Timothy Harris, the sitting Prime Minister of St Kitts, and it also states that the holder is a Dominican national, a misstatement of a material fact. A copy of the document appears above. A spokesman for Dr. Harris has publicly disputed its authenticity, but the document appears to have anti-counterfeiting protection, as well as the enhanced features such an instrument is required to display. Just how many of the estimated 500 diplomatic passports were handed out to St Kitts government officials, and politicians, by corrupt senior Dominica leaders ? No wonder the Foreign Minister of Dominica has openly refused to publish the list of Dominica diplomatic passport holders; if the voters of Dominica ever read it, her tenancy in government will come to a swift end, and her arrest will be a foregone conclusion. The illegal passport factory that she commands is a racketeer-influenced criminal enterprise, a cash cow for corrupt politicians. These passports, which are reportedly sold for obscenely high sums of cash, or for the exchange of other, illegal, favors, are an insult to the United Nations, and pose a clear and present danger of being abused for money laundering and other financial crimes. We trust that compliance officers at the world's international banks take note, and conduct themselves accordingly. * If you take the two passport numbers 0000319 and 0000462, and the issue dates, Dominica issued over 150 new diplomatic passports in one year, between 2014 and 2015. Considering that Dominica only has a few embassies and bona fide diplomatic postings, who has all these prized documents ? Mehmet Atilla, the senior Turkish banker who was late to the party in the Reza Zarrab Iran oil-for-gold sanctions evasion case, presently pending in US District Court in Manhattan, continues to make bad decisions, with the expected outcome. Why isn't he paying attention to the consequences ? First, he throws in his lot with Zarrab's criminal syndicate, forging and altering banks records, to cover the tracks of a billion dollar oil sanctions evasion operation. Why did the number two man at a major Turkish state-owned bank fail to consult a competent attorney in advance of entering into that sordid conspiracy ? If he had, he would have learned that being a foreign national, and conducting sanctions evasions totally outside the United States, does not save you from indictment. Second, after seeing the primary defendant, his client, Reza Zarrab, make the fatal mistake of entering the United States, for tourism of all things, when he knew or should have known he was exposed to being charged in America, given his extraordinary Iran-to-Turkey oil-for-gold operation, why on earth did Atilla voluntarily enter the US, on business ? Finally, in the motion to dismiss his indictment, his attorneys chose to file the same legal arguments also advanced by Zarrab's counsel, and which failed. How can they prevail ? Unless Mr. Atilla now makes the only intelligent decision left to him, to enter a plea, cooperate with the authorities, and end up with a sentence that he, and his family, can live with, he will face the full brunt of the steamroller that is the American criminal justice system when it targets a major violation. I suggest he change his tactics, forthwith. Law enforcement mining of social media through platforms that can access information which might otherwise never be uncovered has moved from the primary role of understanding criminal networks to a broad range of applications involving ongoing investigations. Many are using their social media programs as a real time monitor of a wide variety of criminal activities, as well as the acquisition of information. 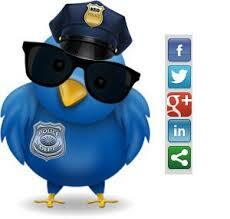 (1) Using information obtained from social media as Probable Cause to obtain a search warrant. (2) Identifying associates affiliated with or linked to Persons of Interest. (3) Identifying the location(s) of criminal activity. (5) Gathering photographs or statements to corroborate evidence. (6) Identifying Persons of Interest. (7) Identifying the location of Persons of Interest. (8) Anticipating or identifying crimes that may be in the early stages. Innovative law enforcement agencies will continue to find new uses for their social media platforms in both violent as well as white collar crime investigations. Social media resources, whose initial application was solely on the civil side, when it was used to obtain data on "unbanked" individuals for money service businesses, has proven to be an extremely valuable tool in law enforcement investigations. DO NORTH KOREANS NOW HOLD DOMINICA CBI PASSPORTS ? If you read yesterday's CNN story, Hong Komg, Where North Korea Goes to Launder Money, you might have noticed that the authors made sure to point out that the Chinese national who allegedly is the principal front man for a sanctioned North Korean bank holds a Dominican passport. Whether it is a Citizenship By Investment (CBI) economic citizenship passport, or one of those diplomatic passports considered illegal under international law, the point is that Dominica documents are facilitating North Korea's evasion of international sanctions. 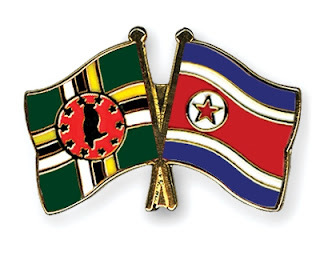 While the extent of Dominica's relationship with North Korea is unknown, the continued existence of the CBI program itself could be endangered, should major United Nations sanctions evasion activity be made public. There's more: an examination of the North Korean Economy Watch, which publishes data from the annual Rason International Trade Fair, reveals that Dominica was one of the exhibitors. Considering that the country does not record that it exports anything to the DPRK , the obvious conclusion is that the government display is for the sole purpose of selling CBI citizenships. Dominican representatives have a history of hawking CBI products in the Peoples' Republic of China, and the Chinese reps are the likely people to be involved in North Korea. This matter is serious, and it requires further investigation. After our recent article, Dominica & St Lucia's CBI Programs have a CBI Consultancy in Iran, there was a denial issued, by the unofficial regime mouthpiece, Anthony "Tony" Astaphan, who has asserted that Swallow Immigration Consultancy, Inc., was not an agent for the Dominica CBI program, notwithstanding that the firm's website recites that it is. I therefore decided to settle the issue by contacting the consultancy's manager, Nousheen Pourjahani, via telephone at her office in Canada, and she was happy to confirm Swallow's status as Dominica CBI Agent & Promoter. She admitted that she was in the business of selling CBI or CIP passports, from a number of East Caribbean countries, and that her targeted clients are Iranians, which raises multiple questions of whether international sanctions are being violated. She claims that she only sells to expatriate Iranians, who fund their passport purchases with funds held outside Iran. If that is the case, then why does Swallow maintain an office in Tehran ? One cannot sell to expat Iranians inside Iran; she lies about her clientele. Enter the East Caribbean's dark CBI secret, that there are unlisted agents/promoters, in Dominica, and elsewhere in CBI jurisdictions, who funnel clients to the so-called "licensed" agents, and receive hefty commissions under the table for their trouble. You may recall our prior article about the unlisted Asian promoter who asked for an advance commission payment, to be sent to a Wells Fargo account in Singapore, when a person posing as an interested buyer contacted him. That individual was not named as an agent, but he was nevertheless acting as such. Do not expect anyone involved in the lucrative, and largely unregulated, international CBI industry to follow either local laws or the regulations. Also, Ms. Pourjahani stated that she performed NO due diligence, upon neither her Iranian applicants, nor their funds, prior to taking possession of the money, in a third country, such as Dubai, as she expects that the CBI program will complete that task. What she is probably doing is engaging in money laundering for dodgy, or even criminal, clients, in a "don't-ask, don't-tell" scenario which the law refers to as willful willful blindness. After she realized that she had given up far too much damaging information, she terminated the conversation, using an flimsy excuse of immediate travel for an extended period, but she did answer the telephone later that day, only to hang up when she realized who was on the line. Exactly how many Iranians now hold Dominica, St Lucia, Antigua, or St Kitt passports, thanks to Ms. Pourjahani's efforts during the past decade, we wonder ? A smart businessman knows to never express an opinion on any legal matter, if he is a non-lawyer, and a good attorney is aware of the risks when he talks to clients about legal issues in countries where he is not admitted to practice. Unfortunately, that is not the case when it comes to those CBI consultancies not actually located in the five countries of the East Caribbean that offer economic citizenship to affluent individuals from high-risk jurisdictions who are seeking a second passport. Those firms freely offer advice notwithstanding that they are no way qualified to do so, all to the potential damage of their clients. In truth and in fact, none of the principal international consultancies have qualified attorneys present on premises, in Europe, the Middle East, Asia or elsewhere, who are admitted to the practice of law in the East Caribbean. Why is is important, you ask ? (1) The possible future revocation of your citizenship, as well as your prized passport. Antigua is presently discussing passing such a law, but does the country recommended to you have the right to do so, at this time ? 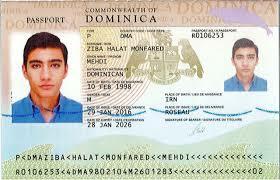 Remember the case of the Iranian Alireza Monfared, and his two passports, obtained from Dominica. (2) Will the country recommended to you "lower the tax boom" at a later date ? Are those permanent assurances of tax holiday in the country's laws, and have you received an opinion, from a local attorney duly qualified, about this issue ? (3) What are the possible tax ramifications, to your present nationality, if you get that second passport, and move assets offshore ? (4) Has the selected country ever been, or is it now, a Blacklisted jurisdiction, from any regulatory agency, which could put you in the cross-hairs of US, or EU law enforcement agencies in the future ? You do not want to become a Person of Interest, simply because of the misconduct of others. (5) Is the country selected for you by the consultancy, only a nominal democracy, but actually a dictatorship, which could conceivably be overthrown, and your status simply terminated, with no legal recourse ? (6) Does the local court system regularly follow the Rule of Law, or are decisions handed down, based upon political pressure of the ruling party ? In that case, you may not be able to have legitimate business grievances addressed to your satisfaction. (7) What about the country's criminal justice system ? Is it fair and impartial, or could you end up in jail, without a trial, for years, if anything you do incurs the wrath of local leaders ? The bottom line: if your mind is made up about obtaining a CBI passport, by all means, go to the jurisdiction, and engage a local attorney to answer those questions, in advance, prior to investing. To do otherwise is literally playing with fire. The Government has filed its Brief of Appellee, in the DC Appeal of the District Court summary judgment, entered against the Waked family, seeking to remove the OFAC designation entered against those Panamanian nationals known to be involved in money laundering operations. (1) OFAC's disclosures satisfied its notice obligations, under both the Due Process Clause, and the Administrative Procedure Act. (2) OFAC is not required to disclose evidence that would reveal confidential investigative sources and methods. (3) The District Court's decision does not produce absurd results. The case law aptly cited shows that, only in the rarest of circumstances, and then only where there is real OFAC misconduct or error, do the courts take action, regarding OFAC sanctions. We note that the only Waked family member actually in custody, has recently indicated, through counsel, his intention to enter a plea to the money laundering charges fled against him, in District Court in Miami. he is not a party plaintiff in the DC case. 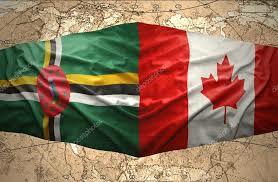 A review of the list of companies eligible to direct Citizenship by Investment clients to St Lucia and Dominica includes the Canadian consultancy, Swallow Immigration Consultancy, Inc*. 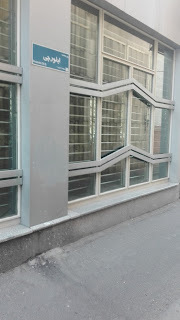 Swallow lists a Tehran office in its information, a disturbing fact, buried at the bottom of the page, but which poses not only a clear and present danger to the CBI programs of both countries, due to international & US sanctions, but will definitely expose external due diligence firms to major OFAC sanctions. Swallow is owned by an Iranian national that advertises herself as an "immigration consultant." her name is NOUSHEEN POURJAHANI. Don't the CBI units in Dominica & St Lucia realize that there is a high risk that they may be accepting individuals who are government officials, individuals working in the sanctioned WMD or ballistic missile programs, Islamic Revolutionary Guard Corps agents, or other Iranian nationals who are internationally sanctioned. Can't they foresee the inevitable public relations nightmare when one of the clients they accept is exposed ? There's another problem: If the outside due diligence firm handling the vetting of any Iranian nationals is either American, or a foreign subsidiary of an American company, there is strict liability for OFAC violations. 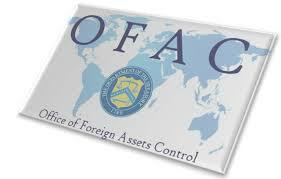 See OFAC fines American Firm that conducted CBI Due Diligence for Iran Sanctions Violations, on this blog, August 19, 2017, Note that the due diligence firm fined $259,200 is IPSA, listed as a due diligence contractor at St Lucia. Both countries should now take a hard look at whom they "qualify" as CBI consultancies, lest they get burned. In their eagerness to attract CBI clients, they license (I use the term loosely) salesmen, not the legal professionals who should be advising prospects. The firms listed are located in Moscow, Dubai, Pakistan and other other high-risk jurisdictions. How many more Iranian nationals must be arrested or indicted, complete with East Caribbean CBI or diplomatic passports, before another FinCEN Advisory is issued ? Canada would do well to close Swallow immediately, as it is suspected of being a facilitator for Iranians seeking second passports, without any significant due diligence being performed upon them. * There is also another CBI firm, owned and operated by Pourjahani, known as Parastou Company, also offering East Caribbean passports, in this case from Dominica, Grenada and Antigua & Barbuda. 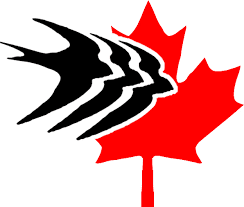 Parastou's webpage also features the "Swallow" logo shown above. Quick: what's the most effective, and often safest, way to place the proceeds of crime in North America ? Answer: avoid the banking system altogether, and bulk cash smuggle the loot out of country on a private jet. Bulk cash smuggling of the proceeds of crime remains a major method through which money launderers repatriate bulk cash. 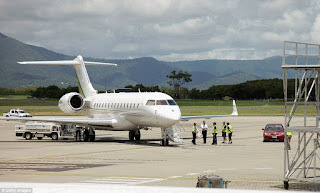 Now, the US Congress is attempting to close some of the loopholes that foreign money launderers, and their clients, have employed for years to allow them to own, operate and control N-numbered (US registration) business jets. The Federal Aviation Act requires that foreign nationals may hold no more than twenty-five (25%) per cent of the shares of a US corporation that owns an N-number business jet, but laundrymen use trusts, business associations, shell companies, partnerships, and other private entities to control American-registered aircraft, whose regular traffic in and of the Continental United States is not monitored to the extent that foreign-flag aircraft often are. In truth and in fact, foreign nationals who are career criminals control US-registered aircraft. The US Congress is seeking to clean up those "opportunities,"through The Aircraft Ownership Transparency Act of 2017. * This legislation forces the disclosure of Beneficial Ownership, with acceptable evidence of identification, of any individual who exercises control over any entity, or receives substantial economic benefits from its operation. These disclosures must be made in advance, before a purchasing entity may obtain a Certificate of Registration, under this legislation. 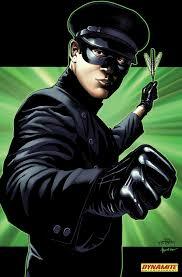 WILL DUE DILIGENCE GO OUT THE WINDOW COMPLETELY FOR ST KITTS' PROPOSED 4000 NEW CBI PASSPORTS ? In the aftermath of hurricane damage, and ostensibly to make needed repairs and reconstruction, the Government of St Kitts & Nevis has proposed, as a fundraising measure, to issue 4000 new Citizenship by Investment passports to new applicants. Has everyone in charge in Basseterre totally lost it ? The estimate of 44 new due diligence investigations, per day, which will be required to be completed, to meet this governmental goal, simply cannot be attained, with any degree of effectiveness, given the size of current staff. Also, even if a boatload of new, qualified & experienced compliance officers arrived to handle that astounding workload, the pressure to complete files in record time, including overseas queries that generally take days to receive back, would crash the effort. Remember, we are talking about enhanced due diligence, not the ordinary variety, and that type of inquiry of necessity is dependent upon multiple outside queries, not just reference to a database, and "check the box." Frankly, turning out reports at the 44-per-day rate would result in inferior, failed compliance products, meaning that criminal elements, individuals from high risk countries who require serious checks, and even terrorist financiers, wouls get those prized CBI passports. I once served as a compliance officer, performing exclusively enhanced due diligence, at what was then the largest company of its kind in the world, offering insurance investment products, and I know how long it takes to properly vet one individual in that manner. I understand that St Kitts wants to raise $150m, in record time, but please, not at the expense of arming scores of criminals and terrorists with Kittitian passports. 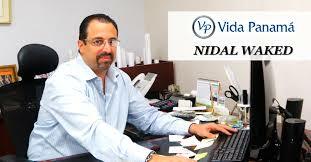 Attorneys for Nidal Ahmed Waked Hatum, the Panamanian business owner who is facing seventy years in Federal Prison, for money laundering and bank fraud, have indicated that their client intends to enter a plea of guilty in the case pending against him, in US District Court in Miami. He is accused of operating a massive money laundering syndicate for Colombian and Mexican narcotics traffickers, employing a network of Panamanian businesses his family owned. 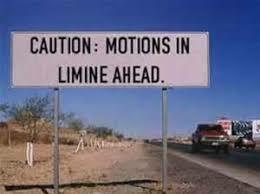 (1) Motion to dismiss for lack of jurisdiction. (2) Motion to dismiss indictment as being time-barred. (3) Motion to Exclude Wiretap Evidence. 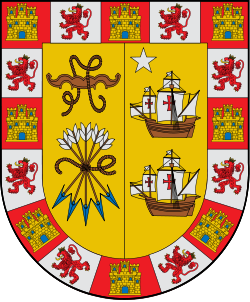 A decade ago, when Panamanian law enforcement was notified of the Waked Organization's money laundering operation, by a whistle blower, that information was illegally passed on to the Wakeds by José Ayú Prado, then a government prosecutor, and now the Chief Magistrate Judge of Panama's Supreme Court of Justice. We hope that, as a part of his cooperation, that Waked implicates Prado, so that he can be removed from office, and extradited to Miami to face justice, as a part of Panama's judicial reform efforts. JUST HOW MANY KITTITIANS GOT FOREIGN PASSPORTS AFTER THE FINCEN ADVISORY ? If you are following events in the East Caribbean, you know that not only did the US Ambassador for the region visit St Kitts & Nevis recently, she stated that, while it is under study, there are no current plans to remove the 2014 FinCEN Advisory, which referred to the misuse of Kittitian CBI passports, and warned international bankers to beware money laundering, other financial crimes, and terrorist financing, by St Kitts CBI passport owners. Native Kittitians, especially those who have political or economic power locally, have taken note of their increased risk levels, and some have chosen to game the international document system, in a dangerous way. The recent dust-up in St Kitts, when local media proved that the country's former Prime Minister* obtained a diplomatic passport in the Commonwealth of Dominica, which actually falsely recited therein that he was a Dominican national, may only be the tip of the iceberg. Those holding St Kitts passports might have problems in making large deposits in North American or European financial institutions, so you should anticipate that Kittitian politicians, also including those presently in office, have acquired Diplomatic passports from Dominica, where, frankly, anything goes, if we take the example of the known foreign career criminals found to be in possession of them when arrested elsewhere. 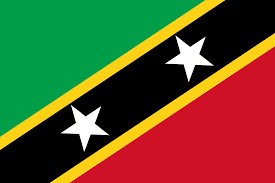 Compliance officers at international banks should remember that St Kitts was forced, due to global public pressure to restore the "Place of Birth" information to their passports. Should you EVER find that the holder of any kind of St Kitts ( or Dominica or Antigua or Grenada or St Lucia) passport, initiate enhanced due diligence immediately, prior to account opening. You must immediately demand, and obtain, Drivers' License, voter registration card, even birth certificate, evidence, to rule out the holder as unsuitable. * Spin masters in St Kitts have tried to explain away this scandal by stating that a government officials in the former PM's cabinet had their diplomatic passports cancelled when they fell from power, but private politicians in the East Caribbean have a long and sordid history of holding such diplomatic documents, even when not in government. They also failed to explain why the ex-PM misrepresented his nationality. Truth seems to be in short supply in St Kitts political circles. 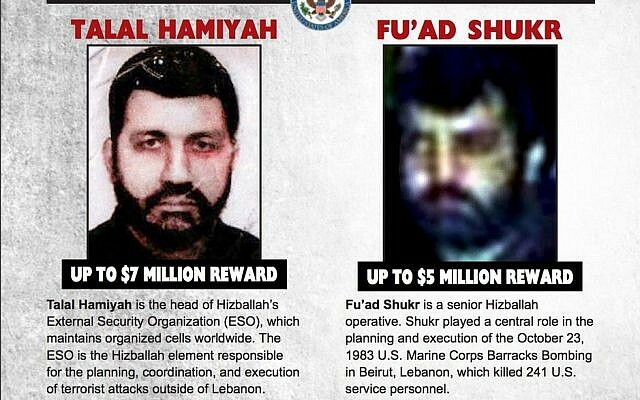 The American Rewards for Justice Program has posted five and seven million dollar rewards, respectively, for two prominent Hezbollah leaders, FU'AD SHUKR and TALAL HANIYAH. Shukr is alleged to have been the planner of the terrorist bombong of the US Marine Corps Barracks in Lebanon in 1983, which resulted in the deaths of 241 servicemen. 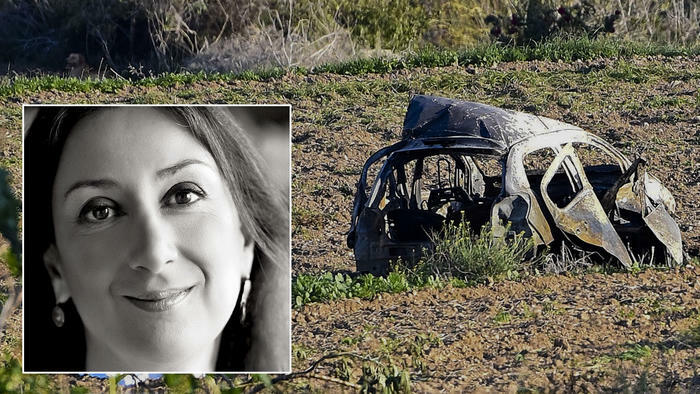 Haniyah is alleged to be the supervisor of Hezbollah terrorism outside of Lebanon. The president of Lebanon, on Egyptian television, stated that Hezbollah was a part of the Lebanese Army, and it was needed to defend itself against the Israeli "occupation" of the Syrian Shebaa farms area, which is the Hezbollah bogus territorial claim it uses to defend its failure to follow the UN Resolution, and disarm. A senior Israeli military official recently affirmed that since Hezbollah is now virtually the same as the Lebanese Government, any future Hezbollah-Israel hostilities will include all of Lebanon as legitimate targets. Such an action may destroy the critical Beirut financial center, as well as vital infrastructure throughout the country, and Lebanon should be aware of these consequences. If you were still harboring any illusions about St Kitts actually performing adequate due diligence on anybody or anything, read this. 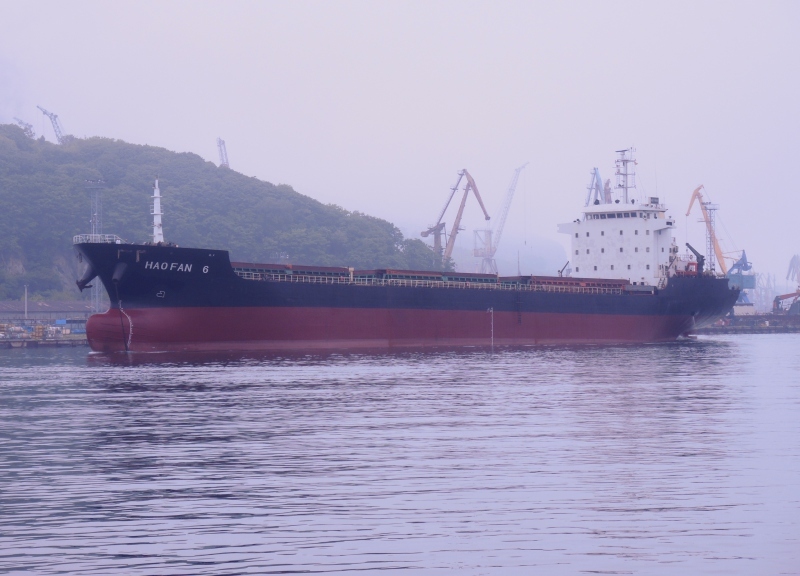 The United Nations Security Council has issued a global port ban on the vessel HAO FAN 6, IMO862597, a bulk carrier of goods, for transportation of prohibited goods to and from the Democratic Peoples' Republic of Korea, more commonly known as North Korea. The Hao Fan 6 may not enter any seaport in the world, for violating UN sanctions on North Korea. This vessel is currently registered in St Kitts & Nevis. Given the universal sanctions imposed upon North Korea, and the fact that anyone with a computer can access the complete travel history of any documented vessel, how on earth is the St Kitts Government allowing their flag to fly on a vessel that delivers, as well as loads, goods in North Korea. How was the registration approved in the first place ? Why is it not now revoked ? If St Kitts can facilitate violations of sanctions on North Korea, we are wondering whether North Korean nationals, with the appropriate aliases, are traveling on St Kitts CBI passports, or SKN diplomatic passports, masquerading as Chinese citizens. DPRK agents are notorious for vending counterfeit US Dollars, selling counterfeit prescription drugs, as well as Soviet-era small arms. Is St Kitts now facilitating their criminal activities ? Whether the United Nations should now impose sanctions on the Government of St Kitts is a discussion that needs to take place at the Security Council. The Colombian representative of the Panama law firm of Mossack & Fonseca, Juan Esteban Arellano Rumazo, has reportedly been arrested, together with a number of prominent Colombian businessmen, and charged with money laundering, fraud, and illicit enrichment, in a massive tax evasion scheme orchestrated by Mossack Fonseca's Colombia office, in coordination with its Panama headquarters. The law firm set up an elaborate scheme, with lawyers, accountants and tax auditors, using front companies in Panama, Costa Rica, Spain & England, who sent bogus invoices to Colombian companies, for non-existent services. According to the Attorney General of Colombia, a bank in the Bahamas was involved. 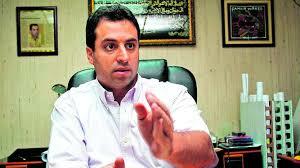 Documents were falsified by individuals at the companies involved in the fraud. Accountant and auditors were employed to manipulate income statements, and evade taxes, all through Mossack's scheme; the law firm reportedly received a fee of 4% to conduct the criminal enterprise. be charged in Colombia, with their participation in this tax evasion and money laundering scheme, but their attorney's arguments, that the law firm merely opened corporations for foreign clients, and do nothing more, have now been seen as outright misrepresentations of fact. 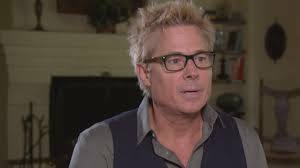 The Mossack firm ran a racketeering operation, and a continuing criminal enterprise, and was not a legitimate law firm. Seeking desperately to avoid execution of the extradition order entered by the assigned US Magistrate Judge, Miami attorneys for the fugitive ex-president of Panama, Ricardo Martinelli, have filed a Habeus Corpus petition, challenging the order, in US District Court. * The defendants are US Attorney General Jeff Sessions, US Secretary of State Rex Tillerson, and Miami Federal Detention Center Acting Warden Robert Wilson. Access to the contents of the petition has been restricted by the Clerk's Office, and we are thus unable to review it for our readers, to ascertain whether it contains any new issues not previously dealt with by the Magistrate. The Court has set dates by which time the defendants must file their responses. 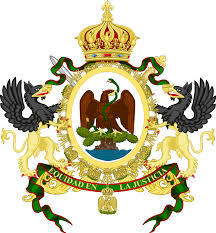 The Secretary of State, due to the existence of the order of extradition, may order Martinelli's immediate removal to the Republic of Panama, at any time, hence the filing of the within petition. * Case No: 17-cv-23576 -MGC (SD FL). 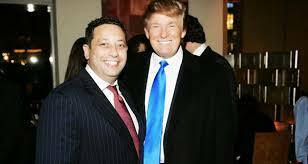 Our recent article on Felix Sater, whose business card lists him as a "senior adviser" to Donald Trump and the Trump Organization, was hacked, when it was republished on another website. The Sater/Trump business card was removed. and two-thirds of the article was destroyed. Do you think that we hit a nerve somewhere in the power structure ? Sater, a twice-convicted felon, is reviled here in South Florida, due to his criminal conduct, which was accomplished in no small part because a judge in New York sealed his criminal file, while he was a CI, denying the investing public the truth about his dark history, resulting in their placing investments with him, which they lost, due to his fraud. The Government of Turkey has arrested a member of the staff at the America Consulate, on what appear to be political charges. As the result, the US State Department has announced that there will be no more non-immigrant visas issued to Turkish nationals, which means that no tourist visas, or visas for business travel into the United States. The relationship between the United States and Turkey has deteriorated of late, but this is a new low. In rapid response, Turkey immediately reciprocated, announcing that no visas will be issued to US citizens. Given that not only would you be unable to appear in Turkish courts in support of any civil litigation, especially at trial, but any Turkish nationals that you might need to testify in a US court proceeding, also could not obtain a visa, your options, in the event of dispute, unpaid debts, or even a false criminal charge filed against your staff in Turkey, you would be severely handicapped. 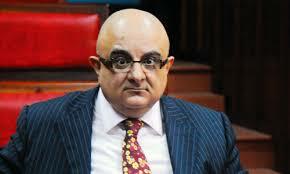 Remember also that an American minister working in Izmir, Turkey has been arrested, and that alone raises risk levels. For all these reasons, raise Country Risk on Turkey at this time. WHY DOES THE FORMER PM IN ST KITTS HAVE A DIPLOMATIC PASSPORT ISSUED BY DOMINICA, SHOWING HIM AS A DOMINICA NATIONAL ? 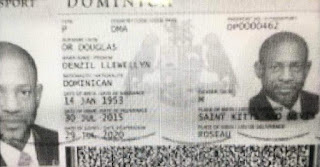 Sources in St Kitts indicate that Douglas' Kittitian diplomatic passport was voided when he left office, several years ago. How on earth was he permitted to obtain a Dominica diplomatic passport, especially one which fraudulently showed him as a Dominican citizen ? The passport must be regarded, as a matter of law, as void ab initio, not merely voidable. How many other East Caribbean politicians have diplomatic passports from St Kitts ? 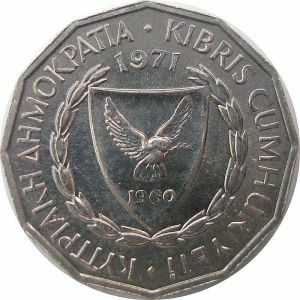 There is no legitimate reason for them, other than the maintenance of a corrupt "old boy network" of politicians in the region, exchanging favors, at the expense of those they govern, and raising the risk levels for money laundering, as the use of diplomatic passports can allow the holder to evade customs officers at ports of entry. 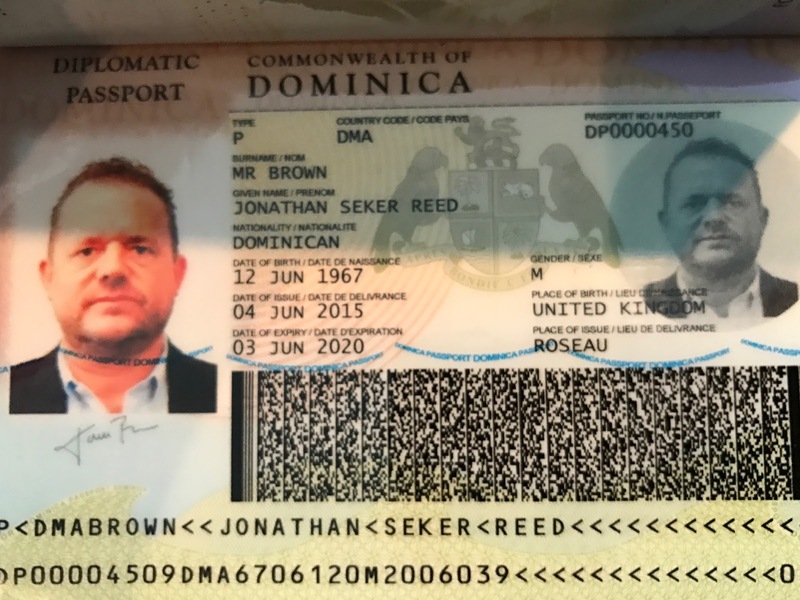 Perhaps the question we should be asking is when will the complete list of non-Dominican holders of that country's diplomatic passports be made public; this is known as government in the sunshine, and unfortunately, when it comes to play-for-pay passports, it does not exist in the Commonwealth of Dominica. 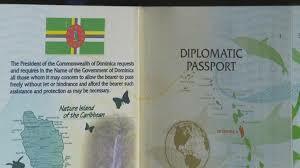 * Contrary to popular belief, a diplomatic passport does NOT confer citizenship in Dominica. In truth and in fact, the application form for a diplomatic passport, which we have published here on this blog, required the applicant to indicate precisely how he or she is a national of Dominica. IS GOVERNMENT INFLUENCE KILLING NEGATIVE NEWS FROM MEXICO ? The obviously forced resignation of a major media co-host, who was critical of the Mexican Government, has exposed what amounts to self-censorship of negative news about Mexican Government and political party activities. Apparently, a large segment of the media revenue in Mexico comes from Government advertising, and this situation interferes with the unfettered ability to air official corruption, undue influence, and other governmental misconduct. Compliance officers seeking to perform due diligence upon Mexican PEPs, political parties, and entities are advised to look primarily at media and investigative reporting that originates from non-Mexican media. 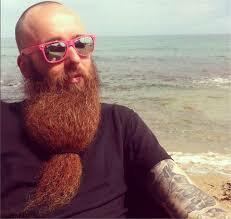 When the French national Gal Vallerius flew into Atlanta's Hartsfield-Jackson Airport en route to an international beard competition, he was certain that his online alter ego as the infamous and anonymous "OxyMonster" in the drug trafficking Dark Web was safe, and that he would be considered just another European tourist and routinely passed through immigration. 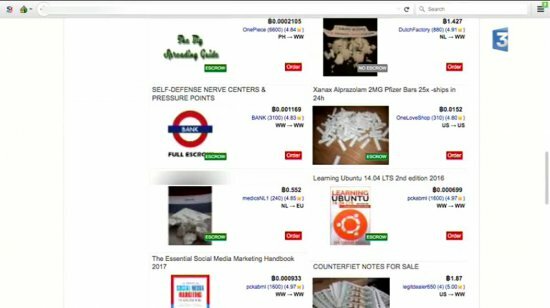 What was waiting for him, though, was a sealed indictment charging him with Conspiracy to Distribute Controlled Substances with Intent to Distribute, for his secret identity as a major vendor on Dream Market, an eBay-like narcotics supermarket operating on the anonymous Tor network, had been uncovered by the Drug Enforcement Administration (DEA), using a social network platform. The DEA had targeted a major narcotics vendor and Dream Market drug forum administrator as OxyMonster, with major drug shipments into the United States, but were unable to name him. One of the individuals receiving payments through electronic wallets was identified as a French national, Gal Vallerius. Could he be the elusive OxyMonster ? 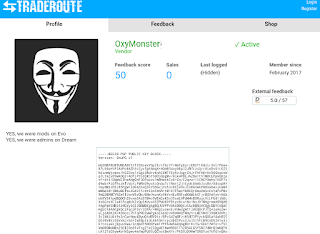 Applying a social media platform to the problem, investigators located Instagram and Twitter accounts of Vallerius, and "compared the writing style of "OxyMonster" on Dream Market forum while in Senior Moderator role to the writing style of Vallerius in his public Instagram and Twitter accounts. Agents discovered many similarities in the use of words and punctuation* ...."
Armed with that evidence, an Indictment was issued, and Vallerius was arrested when he arrived in the United States on August 31, 2017. Information recovered from his seized laptop computer confirmed his identity as OxyMonster. While Social media platforms are generally employed to identify previously unknown relationships, or those that are several degrees of separation from a targeted individual, they may also be used to acquire additional information from the target which were previously impossible to detect, on a near real-time basis. 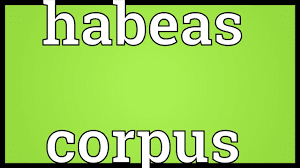 They are an invaluable investigative tool that identifies key connections. The defendant has been transferred to the Southern District of Florida, where the case was brought; he faces a potential life in prison if convicted. His laptop held $500,000 in Bitcoin value, and the US Attorney is seeking forfeiture of the same. Only a redacted version of the Indictment has been publicly released, indicating that there may be additional defendants not yet in Federal custody. As new criminal cases that demonstrate the successful sue of social media platforms by investigators appear, we shall make that information available to our readers on this blog. * Affidavit of DEA S/A Austin D. Love at 13-14. United States vs. Gal Vallerius a/k/a/ "OxyMonster," Case No. : 17-cr-20648-RNS (SD FL). The defense attorney for Scott Rothstein, who is confined to a cell in a secret location, while serving a 50-year Federal sentence for his billion dollar Ponzi scheme, has "strenuously" objected to the motion recently filed by the US Attorney for the Southern District of Florida, to withdraw its pending Rule 35 Motion for Reduction of Sentence. (1) The Government breached its obligations under his Plea Agreement. (2) The Government has abused its discretion in denying Rothstein his opportunity for a sentence reduction, in violation of his Constitutional rights. (3) Rothstein did not provide material false information to the Government. 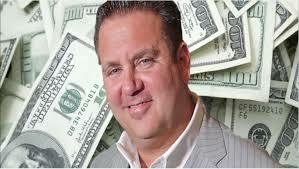 (4) Rothstein deserves a full and fair hearing on the merits. (5) The complex issues to be presented require at least 60 days in which to respond. The Court has granted the request for the extension of time for the defendant's attorney to reply to the Government's motion.